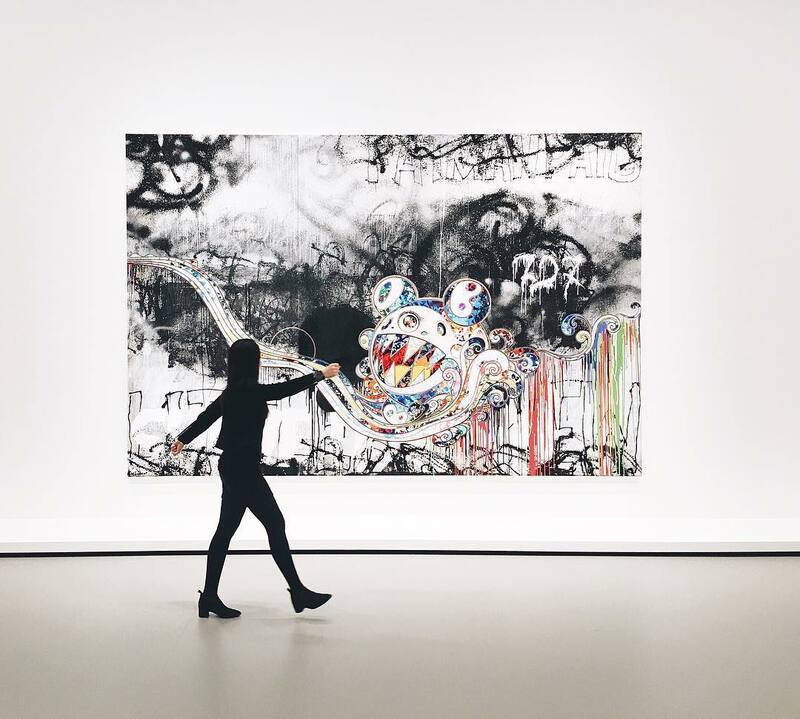 Fondation Louis Vuitton in Paris opens In Tune with the World this week which includes work from Murakami. Blum & Poe announces representation of Solange Pessoa. After London show, Pace to exhibit Jean Dubuffet Theaters of Memory paintings in New York. Why 2018 could be Picasso’s billion-dollar year. $30m Francis Bacon will go on the block at Christie’s New York in May. Embattled casino mogul Steve Wynn is selling $100 million worth of art at Christie’s. Russell Crowe’s Art of Divorce auction of paintings and more rakes in $2.8 million to pay off his ex. Artist’s billboard declaring “There Are Black People in the Future” taken down by landlord. Paintings that question the promises of postcolonial democracy. What you need to know about investing in fine art. The 1973 documentary that delved into the NYC painting scene. The Brazilian paintings that made a splash in wartime Britain. This new $50k prize is just for emerging female figurative painters. Artist Ridley Howard and gallerist Tif Sigfrids to open New Art Space in Athens. Postmasters Gallery starts online-fundraising campaign. Can crowdfunding save struggling galleries? Postmasters looks to patreon amid the mid-market squeeze. The Smithsonian is opening its first overseas location, with London’s V&A Museum. Florida’s Norton Museum nabs a ‘transformative’ gift of more than 100 works. After three years of work, the Getty Villa prepares to reopen with a new look. The Alabama women who made their quilts a part of modern art. Adrian Piper’s massive MoMA survey will force you to face your prejudices. The University of Notre Dame presents 2018 student exhibition. Steven Holl Architects’ game-changing new arts building for Virginia Commonwealth University. Matsumoto hosts world’s biggest Yayoi Kusama exhibition ever. Traditional paintings by Lino Lago mysteriously revealed beneath fields of color. Kehinde Wiley—the artist behind Obama’s presidential portrait—signs with Hollywood talent agency. France to help build a ‘new Petra’ in Saudi Arabia with estimated $20bn development deal. Sotheby’s will begin holding auctions in India to capitalize on the country’s growing art market. ICA Boston closes Nicholas Nixon show, who has been accused of sexual harassment, at his request. Tracey Emin was sexually assaulted by a well-known female artist. George Lucas’ museum has bought Norman Rockwell’s beloved painting from the Berkshire Museum. Why it took nearly 3 years to curate the (short) artist list for the 2018 Carnegie International. 7 Tips for applying to art school, according to top admissions officers. The collector who helped build Dallas’s Texas-sized art scene. These five automotive companies are putting contemporary art in the driver’s seat. Wes Anderson’s set design for the Isle of Dogs goes on show in London. Artists who unlocked the modernist grid. How robots can help painters. New 360-degree immersive drawing created with 120 marker pens by Oscar Oiwa. The scientist who became contemporary artist: Carsten Höller. Adorable artist-themed socks let you walk with Dalí, Warhol, Picasso & more. Categories: Contemporary Art, Features, Overtime. Tags: Contemporary Art, Features, Overtime, Shows & Events, Takashi Murakami.